Heli-skiing is exhilarating – long runs, no people and perfect powder. Snow trails aren’t groomed that means there won't be hard packed snow, that requires a shift in equipment and technique from resort skiing. Heli-skiing is a perfect introduction into skiing powder and will be as extreme or gentle as you make it. Here is what you can expect from your first heli-ski run! 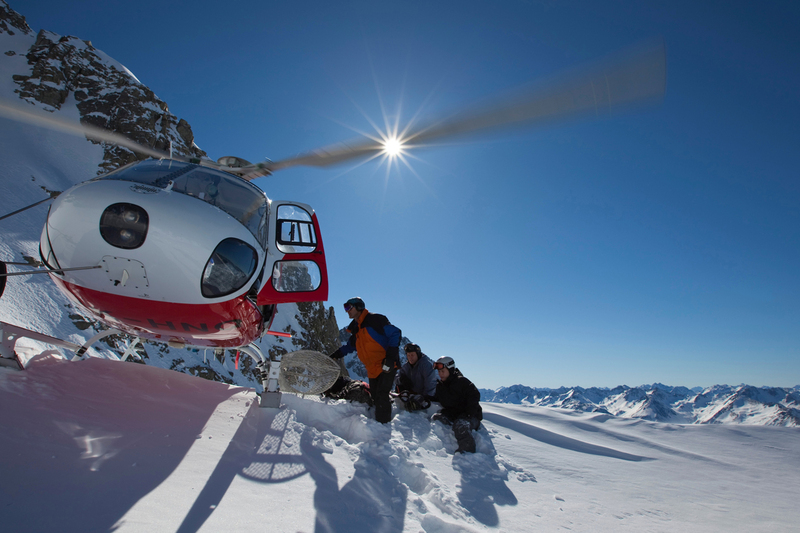 What to expect on your first heliski experience! Who can do a heliski? You don’t need to be an alpine-extremist-adventure-junkie, but you do need an intermediate skiing ability – able to ski blue runs smoothly and confidently. 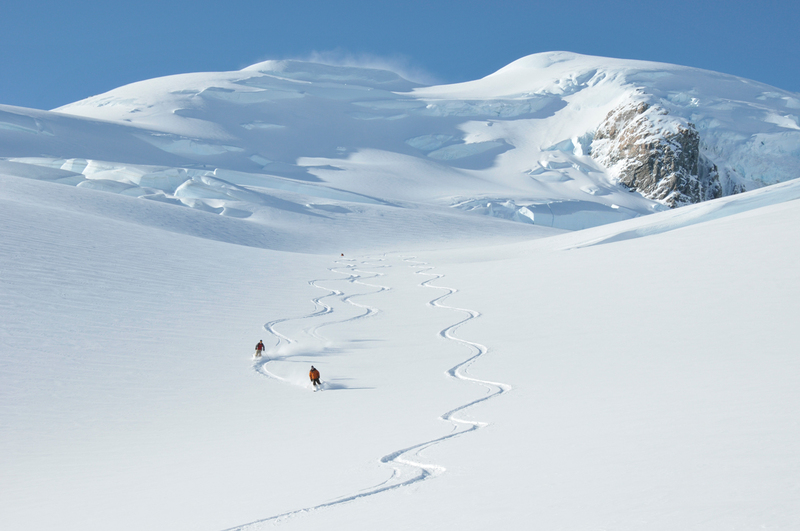 Heliskiing is exhilarating – long runs, no people and perfect powder. Snow trails aren’t groomed that means there won’t be hard packed snow, that requires a shift in equipment and technique from resort skiing. Heliskiing is a perfect introduction into skiing powder. A guide takes you to terrain that is suitable for your level and matches you with people of a similar ability. Heliskiing will be as extreme or gentle as you make it and there won’t be people-saturated mountains, long lines to the chair lift, followed by long chair lift rides. Here is what you can expect from your first heliski run! You can expect it to be strenuous! You are skiing a lot more compared to normal skiing because a helicopter is whizzing you up the mountain after each run (you can chose to do between 4-8 runs). Dress how you would for a typical day on the snow – in layers. You will need goggles that don’t fog and sit a safe distance from your face. A warm and fitted woollen cap that protects your ears and won’t fly off during skiing. Don’t forget your sunscreen! Resort skiing typically uses thin skis for carving that has less transition from edge to edge. On fresh snow you want a wider ski so that you can float through the snow – but for first-time-heli-skiing and learning to snow powder, normal skis are perfect. In measuring your ability, you take a questionnaire (be realistic about your skills) and capabilities are broken into four levels and you are matched accordingly. Your guide will give you tips on how to ride powder efficiently. A guided tour will start with a hotel pick up and drop off to the start point. This may include a water taxi that will take you across a lake, but it all depends on where your heli tour is going! You will be briefed on helicopter safety, general safety and how to use a transceiver. 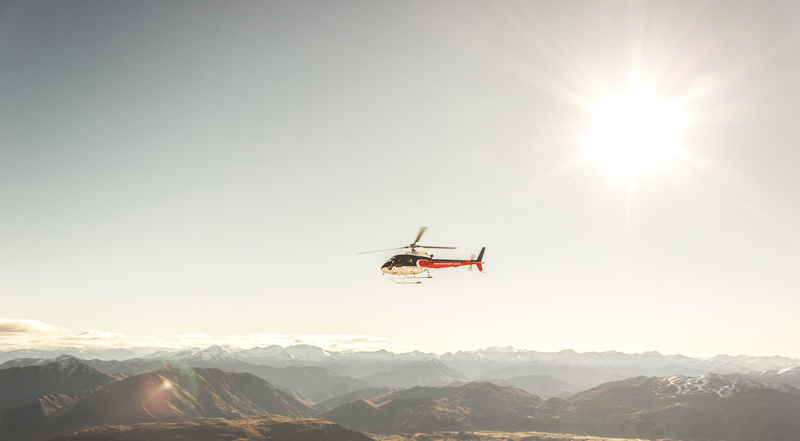 Then you will board the helicopter and enjoy a birds eye view of beautiful scenery – usually a five to twenty minute ride before arriving at alpine paradise number 1. Lunch is included in which you will sit in an alpine environment, surrounded by rolling mountains, blissfully undisturbed. If you have conjured up James Bond fantasies of leaping from a moving helicopter, I’m sorry, but you don’t actually jump. The helicopter lands and you exit on your feet. And then you are in alpine paradise – undisturbed, untouched terrain, pure bliss. 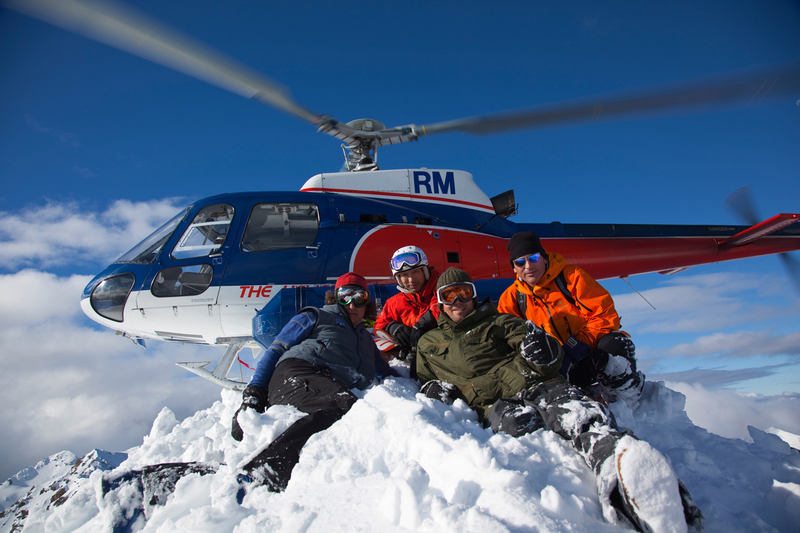 New Zealand offers the cheapest heliskiing in the Southern Hemisphere. Sold on a heliski experience? Check out our guided tour options here.